Detroit, Michigan: General Motors Co will cut car production, stop building several low-selling car models, and slash its North American workforce, sources said on Monday, marking its biggest restructuring in North America since its bankruptcy a decade ago. GM plans to halt production at three assembly plants in Canada, in Ohio and Michigan in the United States by not allocating new products, putting the future of those plants in doubt, the sources added. The plants, Lordstown Assembly in Ohio, Detroit-Hamtramck Assembly and Oshawa Assembly, all build slow-selling cars. The issue will be addressed in talks with the United Auto Workers union next year. GM Chief Executive Officer Mary Barra made calls early on Monday to disclose the plans, the sources said. GM declined to comment ahead of an expected announcement. Its shares were up slightly at $36.21 (Dh132) in early trading. GM is expected to announce it will cut the Chevrolet Volt, Impala and Cruze, the Cadillac CT6 and XTS, and the Buick LaCrosse, according to a source familiar with GM’s plans. 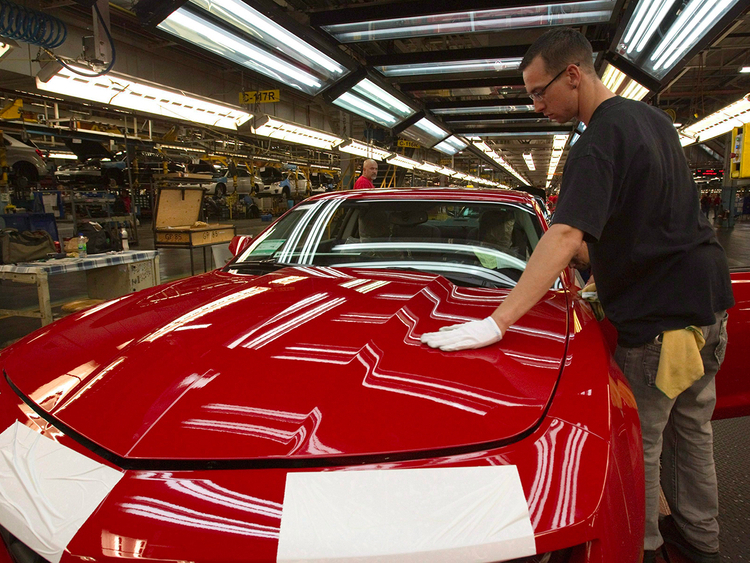 A Canadian union, Unifor, which represents most unionised autoworkers in Canada, said Sunday it was informed by GM that there would be no product allocated to the plant in Oshawa, about 37 miles (60km) from Toronto, after December 2019. GM has begun what is expected to be a long and expensive transition to a new model that embraces electrified and automated vehicles, many of which will be shared rather than owned. The No. 1 US automaker signalled the latest belt-tightening in late October when it offered buyouts to 50,000 salaried employees in North America, with the aim of reducing headcount by 18,000. It plans to trim executive ranks by 25 per cent, the source said. A rule of thumb for the automotive industry is that if a plant is running below 80 per cent of production capacity, it is losing money. GM has several plants running well below that. Consultancy LMC estimates that Lordstown will operate at just 31 per cent of production capacity in 2018.